Quite a while back when I was the Design Team Coordinator for D-lish Scraps I ran a blind scrapping challenge during one of our cyber crops. 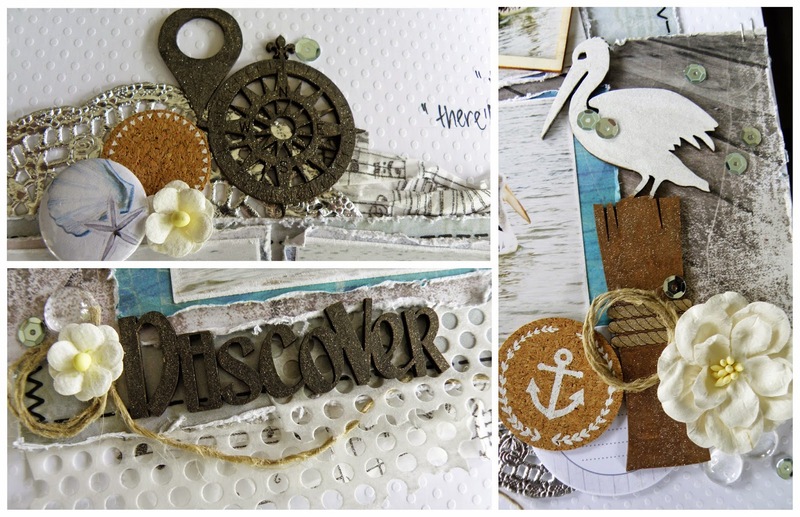 It was such a hit, and I had so much fun, I wondered if Scrapbooking Memories magazine might be interested in doing a blind scrapping feature. They were so I created a layout and wrote up the instructions and materials list. The instructions and materials list were forwarded to Belinda Spencer who did a brilliant job following my instructions. This was my layout from which the original instructions were drawn. 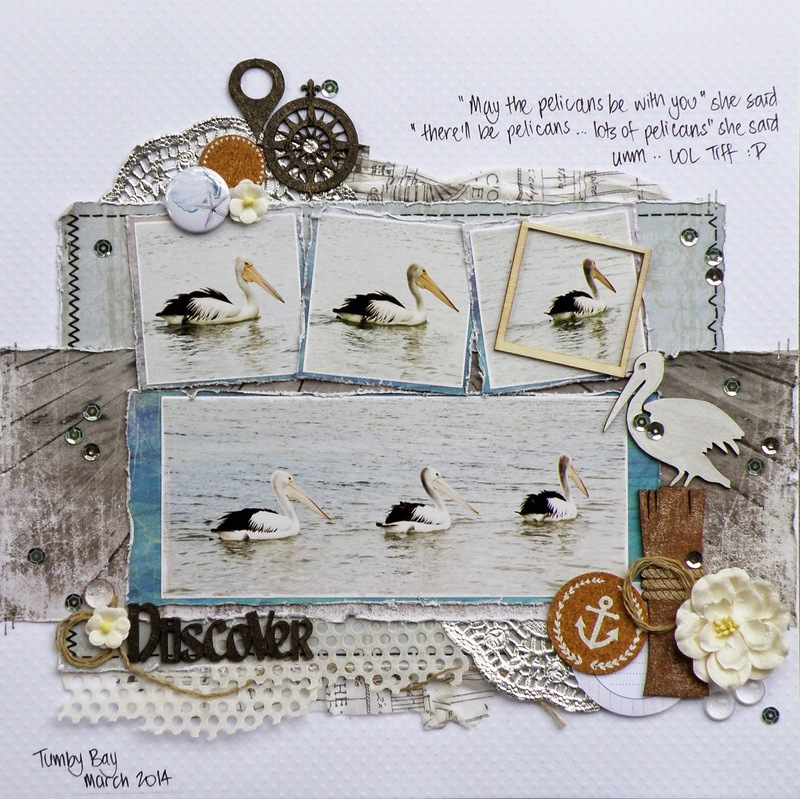 I love 'my pelicans'. Love, love, love them. They may even make it into a frame and onto a wall. Actually, now there's an idea ..
PS: If you're interested in seeing Belinda's fabulous layout, you'll need to get your hands on a copy of Vol 18 No 3, Scrapbooking Memories magazine.